Leaving on a Jet Plane uses three ‘ukulele chords and the truth. That’s all you need. 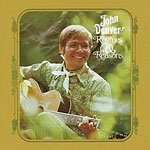 So it is with John Denver’s classic. The original recording is in G, but it’s SO easy in C that I had to just use it instead. If you want to transpose you can use: C = G, F = C, G7 = D7. Leaving on a Jet Plane is a perfect song for beginning players that I often teach in basic lessons. The ‘ukulele chords follow a predictable pattern that allows for less looking at the page and more time focusing on playing and singing. Because it’s such a straightforward song, I highly recommend you try to play it without a lyric sheet. By using your ear you train yourself to hear chord changes and will become a much more rounded musician because of it. It’s not hard to do with a song like this. As long as you start on the right chord, you only ever have two options! If one doesn’t sound right, try the other. For instance, if you strum along with John Denver (in G), you start singing over a G chord on “bags.” From there you are either going to go to C or D7. If you play C it will sound like the song. If you play D7 the melody and chords will clash and pull against each other telling you that the right option must be C. If you do this every time you change chords on your ‘ukulele, Leaving on a Jet Plane will soon be a piece of cake without the paper.